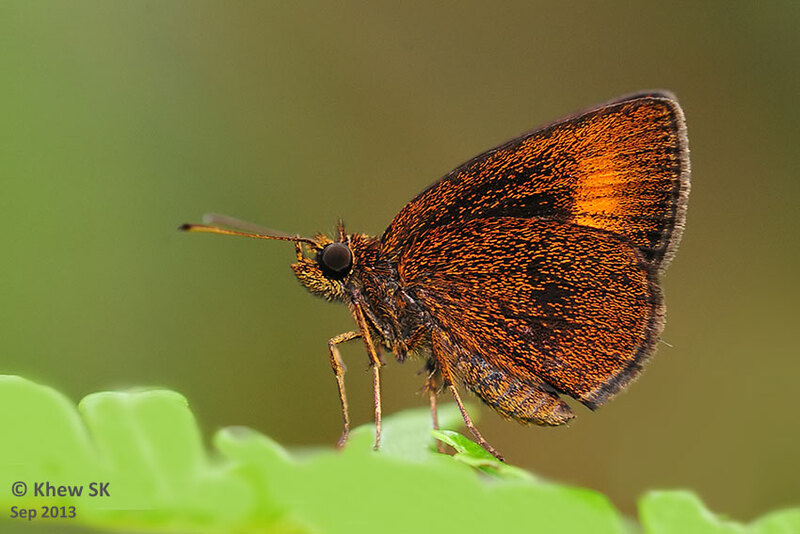 This small and rather insignificant skipper was recorded in Singapore by the early authors. It resembles the related species from the genus Iambrix, of which there are two representatives in Singapore - Chestnut Bob and Starry Bob. The Small Red Bob is predominantly dark reddish-brown, with a short orange-red post-discal band on the forewing. 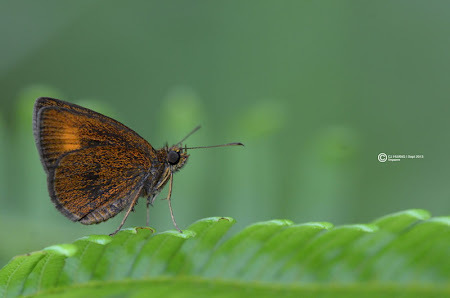 It flies mainly along open paths in forested areas and is not uncommon. It flits from perch to perch and often sunbathes in the usual skipper fashion. It is likely that the Small Red Bob's caterpillars feed on grasses. It was found in Singapore in the past, but has not been reliably observed over the past 4-5 decades. It may have been overlooked as it is not a particularly spectacular looking butterfly. But what caused this species to disappear from Singapore? Will it be back here again one day? Or will it remain only in our memories and is gone forever from Singapore?